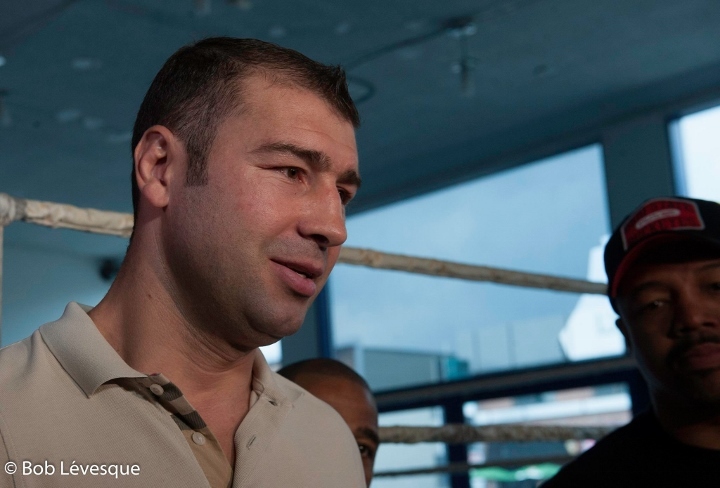 Lucian Bute has officially announced his retirement, ending a professional career that saw him pile up 30 consecutive victories and defend the International Boxing Federation super middleweight title nine times. The 39-year-old hadn’t fought since a Feb. 24, 2017 knockout loss to Eleider Alvarez at the Videotron Centre in Quebec City. The Romanian-born fighter made a name for himself in his adopted hometown of Montreal and became a feature attraction at the Bell Centre, fighting there in 21 of his 37 career fights. He retires with a 35-5 record, including 27 knockouts. Bute made his professional debut with a second-round TKO over American Robert Muhammad at the Bell Centre on Nov. 22, 2003. Almost four years later, the arena was the site of his 11th-round knockout of Colombia’s Alejandro Berrio that gave him the IBF super middleweight belt. After nine title defences, Bute suffered the first loss of his career, a fifth-round knockout at the hands of Britain’s Carl Froch on May 6, 2012 in Nottingham, England. Bute was not the same fighter after that loss. While he rebounded with a victory over Denis Grachev to win the NABF light-heavyweight title, he lost it in his first defence to fellow Montreal fighter Jean Pascal. The highly anticipated match at the Bell Centre turned into a one-sided affair as Pascal won by unanimous decision. He lost a unanimous decision to Britain’s James DeGale in November 2015 for the IBF super middleweight belt, then failed to claim the WBC super-middleweight title in a fight with Sweden’s Badou Jack. Originally scored as a majority draw, Bute was later disqualified and given a loss after failing a doping test. After serving a six-month suspension, he returned to the ring one last time in a loss to Alvarez. I thought he was gonna take out the whole SMW division. Was super scared for my guy Froch, when they faced off. Thought he was like a Joe Calzaghe, he was waay below that level though. [QUOTE=doom_specialist;19604541]Well done, and congrats, champ. [/QUOTE] He was a really good boxer of his time. Congrats my guy. Pretty good boxer but his chin and defense were his weaknesses. Well done, and congrats, champ.